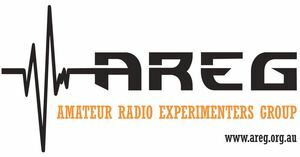 The Amateur Radio Experimenters Group was formed in July 1998. The members of the Club come from all walks of life and even includes some people who don't work in the electronics industry. AREG has a practical focus. Members have a strong interest in the technical aspect of our hobby and this is reflected in some of our activities, such as fox hunting ballons, putting together the local D-Star repeater system, playing with software defined radios and assisting other VK5 groups with technical support when requested. We have built and maintain three of Adelaide's premiere repeaters VK5RWN (D-STAR), VK5RSA (438.025) and VK5RSB (439.900),(53.750) and (1273.500), with 439.900 being connected to the internet via IRLP (node 6214) and occasionally Echolink to provide a worldwide FM quality service. AREG is also the VK5 custodian of the VK5RWN D-Star repeater system. If you are interested in becoming a member of an active practical club, come along to our next meeting, there is always lots to do and learn at AREG! AREG General meetings are the third Friday in each month, except on rare occasions, refer to the calander on our web page for details. The meetings are generally held at The Fulham Community Centre hall, Phelps Court, Fulham S.A.
AREG requests that members and guests please attend the venue for a prompt meeting start at 19:45 (7:45pm). Parking is usually not a problem, as the Community Centre hall has plenty of car parks. AREG has implemented a new meeting structure in 2019 with the club room doors opening at 19:15 hours local, (7:15pm). A short business meeting commences at 1945 hours sharp (7:45pm) and is no longer than 15 to 20 odd minutes. A very short break so as attendees may avail themselves of a coffee or tea drink prior to the next activity. This is then followed by a light supper of coffee, tea and cake where everyone may mingle and discuss the topics of the day. AREG would like to welcome any one that is interested to come along and find out just what we are about, so consider this to be your invitation to find our more about AREG, your ham radio club in the Western suburbs with members from the greater Adelaide area. My apologies for those who read these pages for the lack of updates over the last couple of months. Yes it is a week earlier so as not to clash with Good Friday the following week. There is a new meeting structure with a SHORT! business meeting starting at 1945 sharp and then the evenings talk commencing at 2015 (8:15pm). The talk for this meeting is by David VK5DGR and it will be on FreeDV, the Digital Voice mode for HF, covering the new version FreeDV 700D and the newer still under development FreeDV 2020. A light supper of coffee, tea and cake will be available before and after the presentation. Further information will be published on the AREG web pages at www.areg.org.au closer to the date. 73 from Ben, VK5BB, for the Amateur Radio Experimenters Group.